Do you remember a simpler time, where you could afford to spend hours huddled in front of the TV, racing down Rainbow Road and trying not to slip on bananas? Chances are the missus wouldn’t be too happy if you decided to do that now. 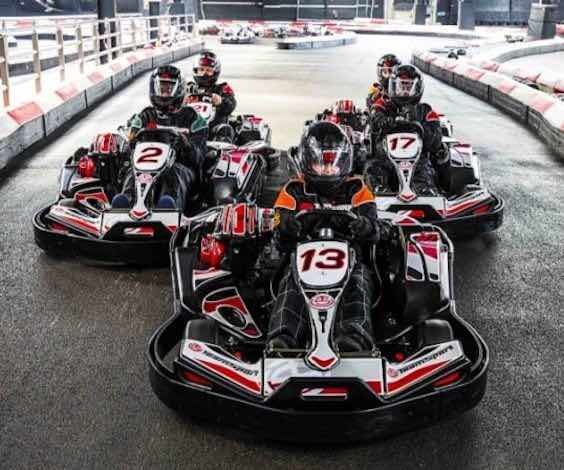 So celebrate your final days of freedom with the next best thing – round-up the crew hit the go-karting track and prove you will always be the reigning champ of Mario Kart. Has anyone ever told you that you look like Mario? No? That’s weird because we think you’re the perfect fit for our Go-Karting challenge. Don, your best costume, tidy your moustache and prepare to hit some mushrooms. You can let your competitive streak run wild while you rack up your laps. When you’ve scored that inevitable win, you can refuel (sink some beers) at the pitstop (bar) – This is one activity you rally won’t regret!! Every guy loves a bit of rivalry. 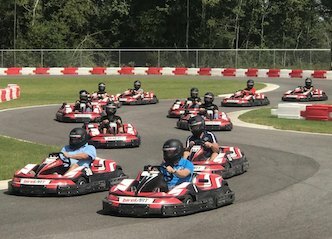 Go-Karting is the perfect opportunity to fuel your competitiveness without burning out. Every guy loves a sweet ride. These go-karts go so fast and hard that you’ll be screaming for more from the minute you turn it on. Every guy loves a long ride. With a range of different packages available, this is one you can ride all day long. Every guy loves going fast. We know you don’t like to take things slow and this is one place you can race to the finish line, without getting a speeding ticket (or a grumpy missus). Every guy needs some toys. Get your pedal to the metal because this is your opportunity to live out your childhood dreams of being a NASCAR driver. Sydney has many qualities to boast of – their outdoor lifestyle, their year-round sun, their abundance of open space. Australia’s biggest city hosted to 2000 Olympics, and it’s also home to the world’s oldest underground toilet. You might be wondering why this is relevant to your Buck’s Party. The truth is…it isn’t really. But that doesn’t mean it’s not the ultimate Buck’s Party destination. With a postcard-perfect harbour view, iconic nightlife scene and an endless list of gramworthy bars, you might struggle to keep up with everything on offer. Wicked Buck’s can arrange the perfect experience to suit anybody’s interests. Don’t use all your energy while you’re living out your childhood racecar driver dreams because that’s only where the fun starts. Boat Party Cruise: Whip out your best sailor’s hat and round up the boys, this is one party you won’t want to miss. While you’re swanning around the boat like the true Leonardo DiCaprio you are, you’ll be treated by some extra special waitresses. Axe Throwing: Why stop at just being Mario when you can be Jon Snow too? Sydney’s Axe Throwing centre is the perfect place to sharpen up your skills until you’re throwing blades like a real Viking. Indoor Bubble Soccer: The name says it all – This is some ball action that will leave you pumped up and ready to roll.